Minnesota is notorious for making the leap from winter to summer, in a meteorological blink of an eye. Exhibit A: 2018. A couple weeks ago we were still digging out from a record April blizzard. And then MSP went from the first 60F to the first 80F temperature in the span of only 9 days. From jackets to shorts, almost overnight. It's hard to get bored predicting weather in Minnesota. southern Minnesota Thursday, before we dry out Friday. A clipper-like system may spark a late-day shower Saturday. It's early, but Sunday appears to be the sunnier, drier day of the weekend. Expect highs in the 70s much of next week, with a slight shower risk/opportunity by midweek. GFS model data shows more 80s by mid-May. Monday's high of 84F came 4 days earlier than the average first-80 atMSP. Wait, we hit 80F SOONER than "normal",after a crazy April? I'm just happy it's not snowing. Nice to be Mellow. Ice-out should accelerate in the coming days, between consistently mild readings and strong winds. I still think we'll see a few more days above 80F by mid-May. ECMWF: WeatherBell. We’ll be tracking severe weather across the Central Plains over the next two days. Both days have a Moderate Risk of severe weather in place. Today the Moderate Risk of severe weather is across parts of northeast Kansas into northwest Missouri, where the greatest threat will be damaging wind gusts during the evening and overnight hours. Severe Threat Wednesday. 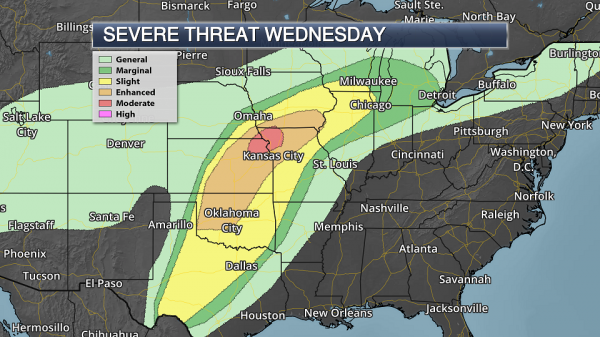 Severe storms are likely again Wednesday across parts of the southern and central Plains, with a Moderate Risk of severe weather in place across parts of northeast Kansas into northwest Missouri, and an Enhanced Risk of severe weather in place from southern Iowa into western Oklahoma. For the threat area covering central Kansas and the Missouri Valley, storms will initially form during the mid-afternoon hours across Kansas and move northeast. Especially in the first few hours of storm activity, tornadoes and large hail will be possible. As these storms continue to move northeast into the evening, they will form into a line of storms capable of damaging winds, with some significant wind gusts possible. It is due to increased confidence in a damaging wind event that a Moderate Risk of severe weather is now in place. Across southern Kansas into Oklahoma, large hail and damaging winds will be the main threats. Timing Storms Wednesday. Storms will form across central Kansas during the mid to late afternoon hours Wednesday. It is during this time that storms would be most capable of large hail and tornadoes. 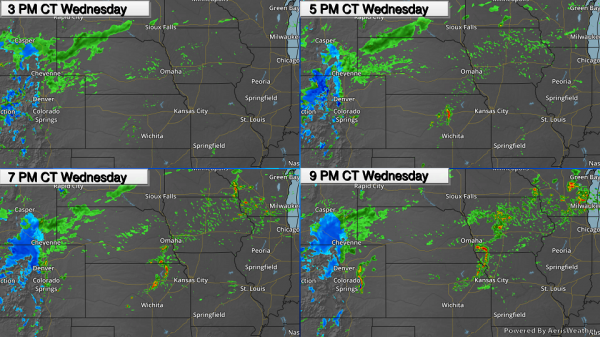 As the storms continue to move off to the northeast through the evening, these storms are expected to merge into at least one line of storms capable of damaging winds as they move into northern Missouri and southern Iowa. Heavy Rain Potential. NOAA's QPF product suggests some 3"+ rainns from the Quad Cities and La Crosse to Madison and Milwaukee between now and Thursday night. Southeastern Minnesota stands the best chance of some .5 to ." rainfall amounts. Minneapolis Gets New Warning Sirens. KARE-11 reports: “Fifteen new outdoor warning sirens throughout downtown Minneapolis will sound this Wednesday at 1 p.m. during the monthly test. “So our total now is 65 sirens throughout the city," said Brian Millberg, the energy manager for the City of Minneapolis. Millberg said these new sirens meet a Federal Emergency Management Agency guideline. “The sirens should be 10 decibels higher in sound level than the surrounding area," he said. Millberg said these sirens are to notify people to get off the streets because of severe weather. “It could be for a tornado, high winds, severe hail, any large storms that can cause damage.” These warning sirens are meant to be heard outside. The system is not designed to provide notification inside homes or businesses..."
Runoff Risk Advisory Forecast. A colleague at Praedictix forwarded this link along from the Minnesota DNR, helping farmers apply (long pause) manure, based on the risk of heavy rain and runoff. the definition of a crappy forecast. For every problem there's a potential solution right? "The Minnesota Runoff Risk Advisory Forecast (RRAF) system is a tool designed to help farmers and commercial applicators determine the best time to apply manure. Precipitation, snow melt or other conditions can cause recently applied manure to move off target. The movement can decrease productivity and increase the risk of impairing local bodies of water. This model takes into account soil moisture content, forecast precipitation and temperatures, snow accumulation and melt to predict the likelihood of daily, next day, and 72 hour runoff events. Farmers and commercial applicators use an interactive map to locate their field and find the forecasted risk..."
The latest map/index for Minnesota is here. NOAA Budget Cuts Get Chilly Reception in Congress. 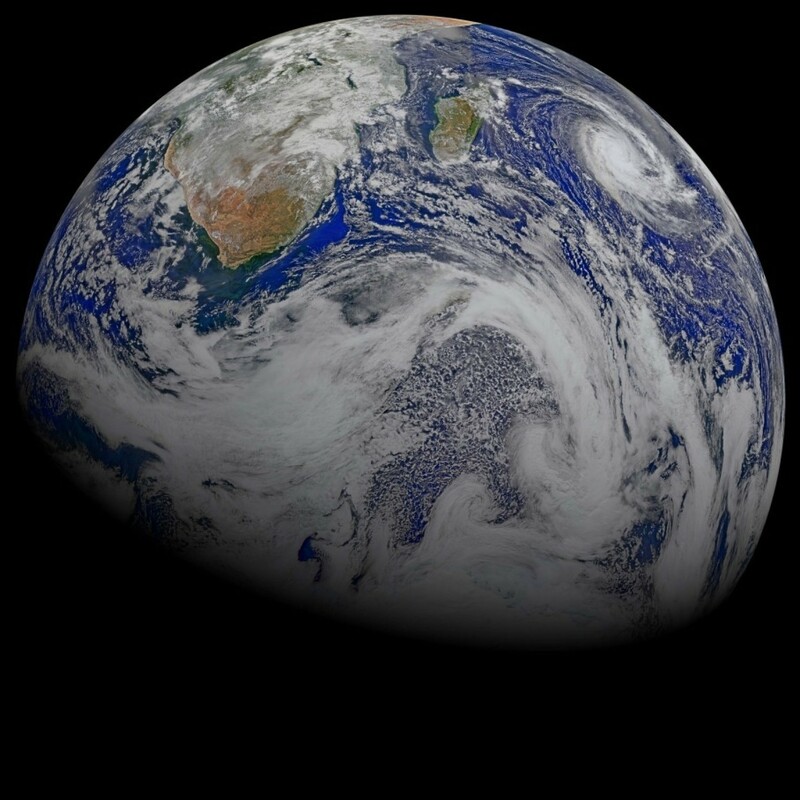 The American Institute of Physics explains why: "At recent congressional hearings, lawmakers questioned the wisdom of the Trump administration’s proposal to cut the National Oceanic and Atmospheric Administration’s budget by over $1 billion. The fiscal year 2019 budget request for NOAA is $1.35 billion, or 23 percent, below the level recently appropriated for fiscal year 2018. Members on both sides of the aisle expressed concerns to Acting NOAA Administrator Timothy Gallaudet about how such deep budget cuts would impact the agency’s research, forecasting, and observational capabilities. Some, for whom the record destruction from the 2017 Atlantic hurricane season was still fresh on their minds, asked Gallaudet to articulate what NOAA needs to effectively prepare for and respond to future hurricanes..."
Navy's Annual Hurricane-Preparedness Exercises Have Added Significance After Matthew, Irma. Here's an excerpt from Jacksonville.com: "...We don’t want any ships in port,” Pippen said. “The safest place is out to sea where you can look at the radar and see where the storm is to avoid it easily.” All but two ships were able to leave ahead of Irma, he said. There was no significant damage to speak of following the storm, which was a reflection on the training and implementation of protocol. “When you have to write those reports afterwards and you took damage, you have to explain what you did to prepare,” Pippen said. Reporting only minor damage shows the people who coordinated the hurricane efforts did what they were supposed to do. Thursday’s drill was part of Hurricane Exercise/Citadel Gale 2018, a Navy-wide exercise that started Tuesday and runs through May 11..."
5 Ways Weather is Pivotal in a Baseball Game. Interesting nuggets in a post at AccuWeather.com: "....Air temperature can change a baseball's trajectory. Imagine watching a baseball game in the middle of April in colder weather and a batter launches a pitch deep towards the fence, only to have it fall into an outfielder’s glove. If the game is played during the summer months, you could see a ball struck similarly, only this time the outfielder positions himself to catch the ball only to drift farther and farther backwards as the ball carries farther than expected. A fly ball out in April could be a home run in August. “For a long fly ball, a ball hit with a sort of home run trajectory, that’s a ball that’s hit at about 100 mph off the bat, maybe at a 30-degree elevation angle,” said Alan Nathan, professor emeritus of physics at the University of Illinois..."
Why Do Some Hurricanes Intensify So Fast? Miami Researchers Find a Key Clue. A story at ArcaMax connects the dots: "...In a paper published in the Journal of the Atmospheric Sciences, scientists now say a look inside the storm might provide forecasters with valuable warning signs. After examining models from a 2014 hurricane that rapidly intensified, they found that interior thunderstorms were able to overcome the power of upper level winds that held them in place. As the thunderstorms begin swirling around the storm's center, they appeared to increase the storm's circulation, make the hurricane more symmetrical and lessen its tilt, allowing it to spin more furiously. "I'm not trying to downplay the role of shear because it's very important. If you have very large shear, you won't have an (intense) hurricane," said Hua Leighton, the study's lead author and a National Oceanic and Atmospheric Administration scientist at the University of Miami's Cooperative Institute for Marine and Atmospheric Studies..."
Hurricane Dennis File Photo: NASA. 1871 Hurricane Uncovered in Hawaiian Newspapers Reveal Hawaii's True Hurricane Risk. A post at Hawaii Public Radio caught my eye: "A major hurricane that hit Hawaiʻi in the nineteenth century is changing our understanding of hurricane risk in the islands. While minimal reference exists in English language sources, the event was well-documented in Hawaiian newspapers of the time. HPR Reporter Kuʻuwehi Hiraishi has more. On August 9, 1871, a major hurricane struck the Islands of Hawaiʻi and Maui, causing widespread destruction from Hilo to Lahaina. Eyewitness accounts were sent in from Waipiʻo, Kohala, Hāna, and Wailuku, and were published in Hawaiian language newspapers..."
Graphic credit: "Artist's rendering of the destruction and mayhem visited on a Hawaiian compound during the Hawai'i hurricane of 1871." Credit Steven Businger. "That's Not Fair." Federal Insurance Program Falls Short for Flood Victims. As the frequency and intensity of flooding continues to increase look for more problems and shortfalls at a federal level. CBS News has the story: "A CBS News investigation reveals that a federal fund intended to protect flood victims often benefits private insurance companies instead. The National Flood Insurance Program, run by FEMA, is $25 billion in debt. In some years, up to two-thirds of the money that's supposed to help flood victims goes to private insurance companies and the attorneys they hire to fight flood claims. When record floods hit Louisiana in 2016, 150,000 people had damage to their homes with an estimated cost of $15 billion. Two years later, many homeowners are still struggling to rebuild – and fighting the same companies and lawyers that they fund with their premiums and taxpayer dollars, reports "CBS Evening News" anchor Jeff Glor..."
World's Tallest Geyser Keeps Erupting, and Scientists Aren't Sure Why. Hopefully this has nothing to do with the fact that Yellowstone National Park is perched on a dormant (?) super-volcano. CNN Travel reports: "Yellowstone National Park's Steamboat Geyser just erupted for the third time in two months, and scientists aren't sure why. It doesn't erupt very often, but when it does, it is the tallest active geyser in the world. The Steamboat Geyser -- known to eject a column of water 300 feet in the air -- erupted for the third time April 27. "It is a spectacular geyser. When it erupts, it generally has very big eruptions," Michael Poland, the US Geological Survey's scientist-in-charge of the Yellowstone Volcano Observatory, wrote in an email. According to seismicity data, the recent eruptions have been a little bit smaller than in the past. Even if these latest eruptions are smaller, they are still impressive compared with, say, Old Faithful..."
Photo credit: Peggy L Henderson. Minneapolis Sets Goals for 100% Renewable Energy. A worthy goal, and there's a high probability the city will save money for residents in the process. Here's an excerpt from The City of Minneapolis: "The Minneapolis City Council and Mayor Jacob Frey set goals today for Minneapolis to move to 100 percent renewable electricity: for municipal facilities and operations by 2022 and citywide by 2030. These goals serve as a strategy to meet the City’s aggressive greenhouse gas emission reduction and climate change goals by moving away from fossil fuels. The resolution responds to overwhelming scientific consensus that climate change is a real and existential threat to human civilization and is caused primarily by the combustion of fossil fuels. The City opposes the rollback of climate policy at the federal level and reaffirms its ongoing commitment to the goals of the Paris Climate Agreement. “An effective way to make sure that energy remains affordable and that our transition to clean energy meets the needs of those most marginalized and historically impacted by pollution is persistent, intentional community engagement from a wide range of people,” said Mayor Jacob Frey..."
The USA's Long Battle Against Air Pollution Isn't Over Yet, As Air Quality Improvements Are Slowing Down. Here's a clip from a USA TODAY article: "The USA's long battle against air pollution isn't over yet. Following five decades of progress in cleaning up our air, U.S. pollution gains have slowed significantly in recent years, a new study concludes. The surprising result means that it may be more difficult than previously thought for the U.S. to achieve its goal of cleaner air, scientists said. "Although our air is healthier than it used to be in the '80s and '90s, air quality in the U.S. is not progressing as quickly as we thought," said National Center for Atmospheric Research (NCAR) scientist Helen Worden, a study co-author. "The gains are starting to slow down..."
File photo: Oliver Berg, EPA. Air Pollution Slowdown Slows Down: Headlines and links via Climate Nexus: "The United States's progress in reducing air pollution has slowed dramatically in recent years, according to new research. A study published Monday in the Proceedings of the National Academy of Sciences shows that a slowdown in pollution levels from nitrogen oxide tanked 76 percent between 2011 and 2015--contradicting official EPA estimates showing only a 16 percent slowdown. The study follows last month's annual "State of the Air" report from the American Lung Association, which found that more than 4 in 10 Americans live in areas with unhealthy levels of ozone or particulate pollution." (USA Today, AP, Mashable, LA Times $, Bloomberg). Revolt in West Virginia's Coal Country. Rolling Stone explains: "...Despite America's turn toward natural gas and renewables, 17 percent of U.S. energy still comes from coal, and approximately 12,000 West Virginians work in the industry. Hunks of coal are sold at the airport gift shop in Charleston, and the state's beloved college football team, the West Virginia Mountaineers, touch a piece of coal for good luck before entering their stadium. A popular program called Coal in the Classroom has sent industry representatives into schools to educate "children about the history and importance of coal." "They've fed us this propaganda that coal miners should be enemies with environmental organizers," says Swearengin. "I am a proud coal miner's daughter, but I'm not going to worship that black rock..."
Production Cost of Renewable Energy Now "Lower" Than Fossil Fuels. It's happening, as reported by Forbes: "For the first time in history, the production cost of renewables is lower than that of fossil fuels, an industry asset manager has claimed. In a recent note to its clients, Hamburg, Germany-based Kaiserwetter Energy Asset Management, wrote that its "internal analysis" – based on data from Bloomberg, The Frankfurt School, Renewable Cost Database of the International Agency for Renewable Energy (IRENA) and UN Environment – puts fossil fuels generated energy costs in the range of $49 and $174 per MWh (Megawatt hours) in G20 energy markets in 2017. Over a comparable period, renewable energy production came in between $35 and $54 per MWh. Breaking the data down further, Kaiserwetter said the international average cost for hydroelectric projects were more than $50 per MWh, wind power was $51 per MWh, and photovoltaic solar energy was $54 per MWh on average..."
Mercedes-Benz's Plan for Surviving the Auto Revolution. Because no industry or company gets a free pass in perpituity. Innovate, reinvent, or fade away. WIRED.com reports: "If you're the guy in charge of leading Daimler—you know, the world’s largest luxury carmaker, one of Europe’s most important tech companies, and the inventor of the automobile—into a threatening future, it can’t hurt to have a name that sounds made for a superhero. Good thing it's a guy named Wilko Stark helming CASE (that’s connectivity, autonomous, shared and services, and electric mobility), which Daimler launched in 2016 to address the most promising and troubling trends under one roof. He’s the fellow tasked with forging a 20-year blueprint for Daimler and its flagship, Mercedes-Benz. Between electrification, autonomy, car sharing, and ride hailing, the car industry is undergoing a monumental, unprecedented shift. So we sat down with Stark to hear about his plans for bringing Daimler into this future—no cape necessary...."
Photo credit: "Who's afraid of defining the future?" asks Wilko Stark, the man tasked with pulling Daimler and its flagship brand, Mercedes-Benz, into the future." Daimler. How Bad is the Labor Shortage? Cities Will Pay You to Move There. The Wall Street Journal reports: "Jobs at the paper mills and safe manufacturers on this stretch of the Great Miami River mostly dried up by the early 2000s, leaving behind closed factories and an abandoned downtown. Today, a spruced-up waterfront, loft apartments and help-wanted signs give the appearance of economic renewal. All that’s missing are workers—and that has prompted a novel experiment. Relocate to Hamilton and the city promises $5,000 to help pay student loans. Pack up for Grant County, Ind., and claim $5,000 toward buying a home. Settle in North Platte, Neb., and the chamber of commerce will hold a ceremony in your honor to present an even bigger check..."
Kids Raised on Farms Are Healthier in 2 Important Ways. Yes, it's good to "get dirty" at a very young age, science suggests. Here's a clip from a Gizmodo article that caught my eye: "Scientists have long speculated that the “dirtier” the environment we grow up in—with lots of germs from different people and even animals—the better off our immune system and physical health ultimately will be. A new study published Monday in Proceedings of the National Academy of Science provides early evidence that a dirty world might even be better for our mental health, too. The hygiene hypothesis, as it’s called, says that our immune system needs to spar with relatively harmless germs and foreign substances (including foods like peanuts) in its earliest years so it can calibrate itself. Without this training, it can become too sensitive and overreact to things it shouldn’t, like house dust and pollen, leading to allergies and asthma. Plenty of research has shown that growing up in a rural environment, or with pets, is associated with lower rates of autoimmune disorders, while rates of allergies and autoimmune disorders have steadily climbed in urban areas..."
Too High, Drunk or Sleepy to Drive? One Day Your Phone Could Know. Frankly, I'm vaguely terrified how much my phone already knows about me. Here's an interesting post at WIRED.com: "... There's no breathalyzer for marijuana, and consumers and cops are years from having a biomarker for how ripped you are, let alone whether you're good to hop behind the wheel of a car. So the police rely on other, observable measurements, like field sobriety tests. What apps like Druid presuppose is that such tests could eventually live on our phones, their microphones and sensors gauging not just whether we're too high to drive, but too drunk, too sleepy, too medicated, too demented, or too otherwise cognitively impaired. The goal, in essence: A universal, phone-based driver fitness test..."
"Forget the Facebook Leak". China is Mining Data Directly from Worker's Brains on an Industrial Scale. Coming to a factory near you? 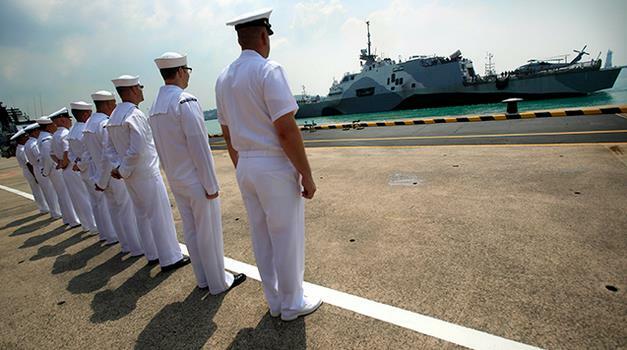 South China Morning Post has the post: "Workers outfitted in uniforms staff lines producing sophisticated equipment for telecommunication and other industrial sectors. But there’s one big difference – the workers wear caps to monitor their brainwaves, data that management then uses to adjust the pace of production and redesign workflows, according to the company. The company said it could increase the overall efficiency of the workers by manipulating the frequency and length of break times to reduce mental stress. Hangzhou Zhongheng Electric is just one example of the large-scale application of brain surveillance devices to monitor people’s emotions and other mental activities in the workplace, according to scientists and companies involved in the government-backed projects. Concealed in regular safety helmets or uniform hats, these lightweight, wireless sensors constantly monitor the wearer’s brainwaves and stream the data to computers that use artificial intelligence algorithms to detect emotional spikes such as depression, anxiety or rage..."
50 Ways the World is Getting Better. I needed this. Check out an impressive list at A Wealth of Common Sense: "You don’t have to look too far to find negativity these days. Just watch the news, go on social media, or even have conversations with friends, family members, or co-workers. You’ll likely hear or read about political instability, natural disasters, murder, disease, or an endless list of bad news you can find 24/7 because of the free flow of information. Every year people label the current year the worst year ever but these people have obviously never read a history book. The combination the negativity and availability bias make it easy to assume the world is getting worse on a daily basis. It feels as if we’re now taking one step forward and two steps back. In reality, this is the greatest time in history to be alive..."
She's Trying To Be The First Black Woman to Visit Every Country. CNN has the story: "...To date, there are about 150 known people who have been to every country, the majority of whom are white men traveling on European passports -- the ones who have the option to "blend in" in more places. As of April 2018, there were 193 recognized countries in the United Nations, plus two with "non-observer status." Since she began her project in earnest in 2016, Nabongo has been to 109 of them. Her goal is to reach 172 by the end of 2018, and the remaining countries by summer 2019. North Korea and Iran, which often prove challenging for US travelers, are two where she plans to use her Ugandan passport. So far, her passports have stamps from places as far-flung as Nigeria, Cuba, Turkey and Laos..."
Ski and Golf at Lutsen This Weekend? Why not? Details via Bring Me The News: "For only the third time in its 69-year history, you can ski at Lutsen Mountains in May. Thanks to the snow seen in April, the North Shore ski resort has not yet blown through its snowmaking reserves, and so is able to open the slopes this coming weekend. And the yang to Lutsen's ying comes in the form of Superior National Golf, which has announced its Mountain 9-hole golf course will open for play beginning this Friday. Lutsen says that it will be only the third time it's been open for skiing in May, and it's all thanks to the historic snowstorm that hit Minnesota in mid-April..."
Dorothy's Happy Place. Thanks to U.S. Tornadoes for making me laugh. In Cities vs. Fossil Fuels, Exxon's Allies Want the Accusers Investigated. InsideClimate News has the story: "The elbowing for advantage between ExxonMobil and the California cities and counties suing the oil giant for billions of dollars in climate change damages has spread to the U.S. Securities and Exchange Commission. Exxon alleged in a Texas court earlier this year that in selling municipal bonds, the local governments may have withheld critical information from buyers about their vulnerability to sea level rise. That would cast a poor light on the cities' claims that Exxon knew about climate risks but ignored them in its own financial disclosures. Now two industry-friendly groups are turning the tables and asking the SEC to investigate the cities and counties for possible fraud..."
Photo credit: "San Mateo County and other coastal California counties and cities are suing fossil fuel companies over their role in climate change, particularly sea level rise." Credit: Philar/CC-BY-SA-2.0. Former Exxon Executive Calls on Oil Industry to Clean Up Its Climate Act. Here is an excerpt of a post from Bill Hafker, a former Exxon Mobil executive who started at the company in 1980 and retired in 2016 as a senior engineering advisor and environmental global technology sponsor. CNBC.com has more details: "The oil and gas industry and its products account for half of global carbon dioxide emissions. If humanity is to stand any chance of effectively addressing climate change, global oil and gas companies must become a part of the solution. I worked in the industry for 36 years. I believe these companies have the technical skills, the financial scale, and the business savvy to successfully address climate change, if governments and investors step up as well. 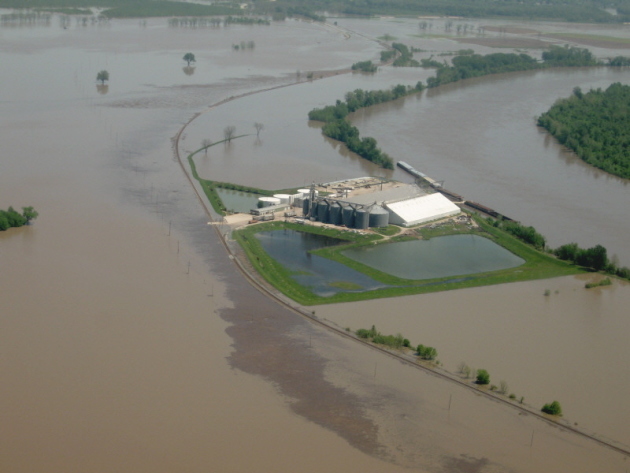 To make that happen, credible climate planning is needed, now..."
File image: Midwest Energy News. The World's Bleak Climate Situation, in 3 Charts. Vox explains: "Every so often it’s helpful — and by helpful I also mean traumatic, so buyer beware — to pull the lens back and take a look at the big picture on climate change and what’s necessary to avert its worst consequences. In the journal Nature, journalist Jeff Tollefson recently offered that magisterial overview of the climate challenge and the progress that’s been made so far. He finds, as such sweeping looks tend to, that both optimists and pessimists have a case. There is a revolution in clean energy ... but it’s not happening fast enough. I’ve boiled it down to three key graphics, adapted from Tollefson’s piece (which you should read, seriously)..."
Boaty McBoatface Leads The Way to Study Glacial Retreat: From Climate Nexus: "An enormous joint US and British expedition to study the implications of glacial retreat in Antarctica launched yesterday out of Cambridge. The 100-scientist project--which will be the the inaugural mission of internet sensation Boaty McBoatface--will focus on the remote and rapidly-downsizing Thwaites glacier, seeking data on how the glacier may retreat in the future. "Basically, this is an urgent research mission to determine just how bad sea level rise in this century could get," Washington Post reporter Chris Mooney elaborated on Twitter. "...We are now probably 3-5 years away from answers to the biggest question about sea level rise." (The Guardian, Washington Post $, BBC, Mashable). What It's Like to Travel the Arctic in the Wake of Global Warming. Here's a clip from a post at POPSUGAR News: "Climate change is a reality. We're already feeling its effects around the world, and things are only going to get worse unless we seriously address this threat. But at the same time, many Americans don't even accept the basic science of climate change. So to help deal with this, The Young Turks teamed up with Rogue Kite Productions and Verizon's Go90 to document what's actually going on in the Arctic, how things are changing, and what the work of climate scientists actually looks like off on the remote edges of the world. And we weren't averse to having a bit of adventure along the way, so we sampled the history and culture of the Arctic while on the road. The end result was True North, a new series that charts our exploration of the Norwegian Arctic, from surviving the savage wilderness to meeting the people who call it home..."
Extreme Weather and Politics Driving Divide on Climate Change. WCAI has an interesting post; here's a clip: "...This latest survey does suggest that a new player has entered the game - weather. The number of Americans who think that climate change will affect them or those they know, personally, is growing. Forty percent of Americans now think they’ve experienced the effects of climate change first-hand. Leiserowitz attributes that increase to the highly visible increase in extreme weather, from hurricanes to droughts and wildfires. Still, he says politics remains the dominant factor when it comes to shaping public opinion on climate change..."
Climate Change Could Make Thousands of Tropical Islands "Uninhabitable" in Coming Decades, New Study Says. The Denver Post reports: "More than a thousand low-lying tropical islands risk becoming “uninhabitable” by the middle of the century – or possibly sooner – because of rising sea levels, upending the populations of some island nations and endangering key U.S. military assets, according to startling new research published Wednesday. The threats to the islands are twofold. In the long term, the rising seas threaten to inundate the islands entirely. More immediately, as seas rise, the islands will more frequently deal with large waves that crash farther onto the shore, contaminating their drinkable water supplies with ocean saltwater, according to the research..."
Photo credit: "Thomas Reiss, U.S. Geological Survey. "An aerial photograph of Kwajalein Atoll in the Marshall Islands shows its low-lying islands and coral reefs." Olympians Take on Politics As They Fear Climate Change is Hurting Their Sport. Here's the intro to a story at CNN Politics: "Five Winter Olympians have traded in the slopes for briefing rooms to urge Congress to take action on climate change. As global temperatures continue to rise, snowboarder Arielle Gold, along with skiers David Wise, Jessie Diggins, Stacey Cook and biathlete Maddie Phaneuf, traveled to Capitol Hill this week to brief lawmakers on how climate change is a growing threat to winter sports and outdoor recreation. Gold, who showed up to the briefing wearing an arm sling, said she attributes her injury to the conditions in Sochi, Russia, where temperatures were 50-60 degrees and athletes were not able to practice because the course would fall apart due to the warm temperatures. She said the lack of practice led to a crash, which highlights how climate change has contributed to the reduction of snowpack and affected the safety and future of winter sports..."
Photo credit: "Olympic gold medalists highlight the dangers climate change brings to winter sports, as they urge Congress to take action." Image credit: Alta Ski Area.